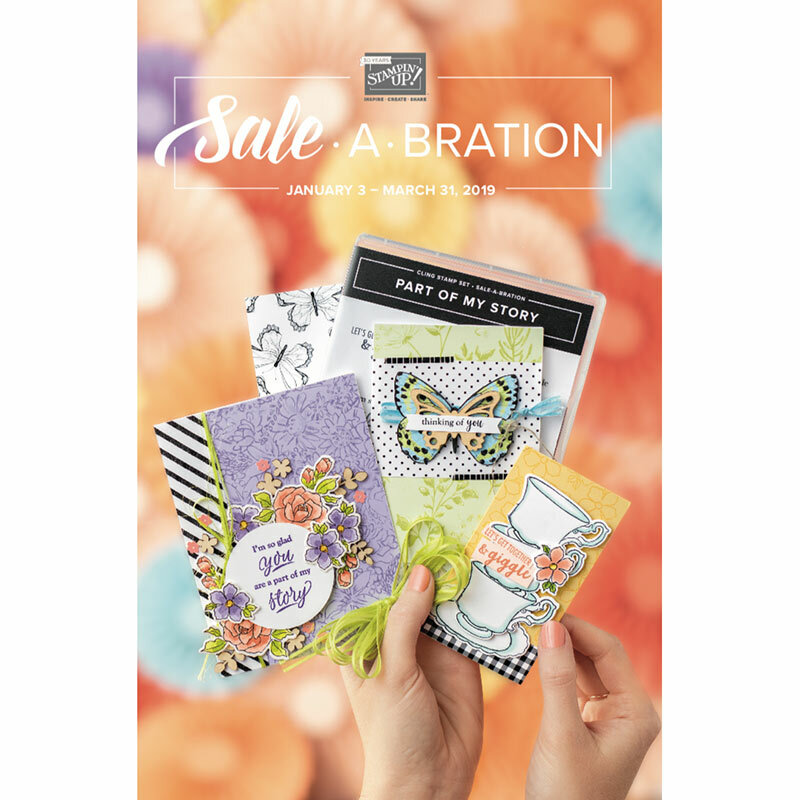 Wasn't this weekend's "Anything Spring" Blog Hop fun? It sure did trick me into thinking that Spring was around the corner -- and here I sit, with a winter storm approaching! First, the business at hand: Congratulations to Karen Ladd (Comment #9) who was selected randomly by Random.Org to receive my blog candy. 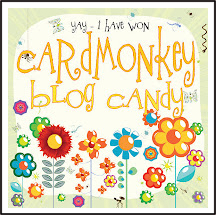 Karen, please e-mail me at cardmonkey@comcast.net to provide your USPS address so I can send your packet of Springs and the $10 CTMH gift certificate and Idea Book! And now, more Spring! Are you getting ready for Easter? It's hard to believe -- it comes so early this year -- that Easter is just 12 days away! I have the excitement of planning an Easter Egg Hunt for granddaughter Charlotte. I don't know who's happier about that -- me or her ♥. PROJECT RECIPE: I made this cute 3D Bunny to hold an egg and some candy on the Bunny Trail. The cut file is from the Silhouette Online Store; I cut two -- one in pale pink and one from the striped liner paper. The pink ear inserts cut separately from a dotted hot pink. At the base of the bunny, I added a border die cut from Cottage Kutz that I cut in white hand hand-colored using Copics, with little touches of Stickles on the bunny tails and CTMH Liquid Glass on the Easter Eggs. I adhered the border with foam dots for dimension. 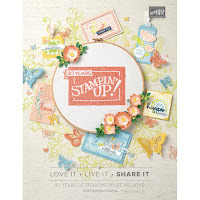 I finished it off using a Peachy Keen face stamp that I modified with a nose line and whiskers to look like a bunny, and I tied a delicious piece of Lovebug Creations' Rumple Ribbon from the Caddy Blue On the Edge Collection for the bow. It went together pretty quickly, so I think I'll make some more for that Hunt. Isn't it sweet?! 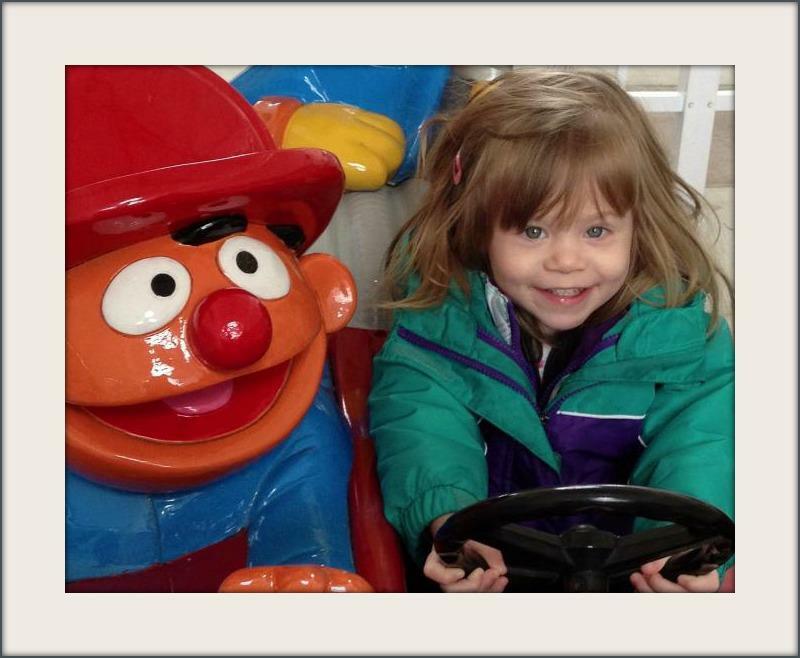 And speaking of sweet, how about this cute picture of Charlotte, taken this weekend while she and her parents were out at the Outlet Mall, shopping. Char's not much on shopping -- she goes for the rides!! 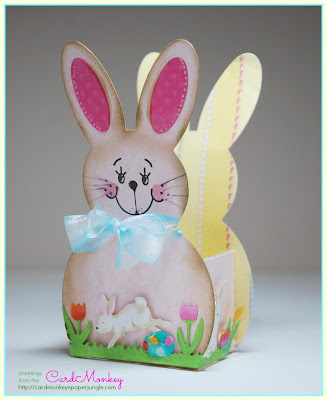 This is super cute and would be great to link up at Craftin Desert Divas "Easter" Linky Party. LOVE your lil bunny basket and I bet Charlotte will too. She is too adorable! !